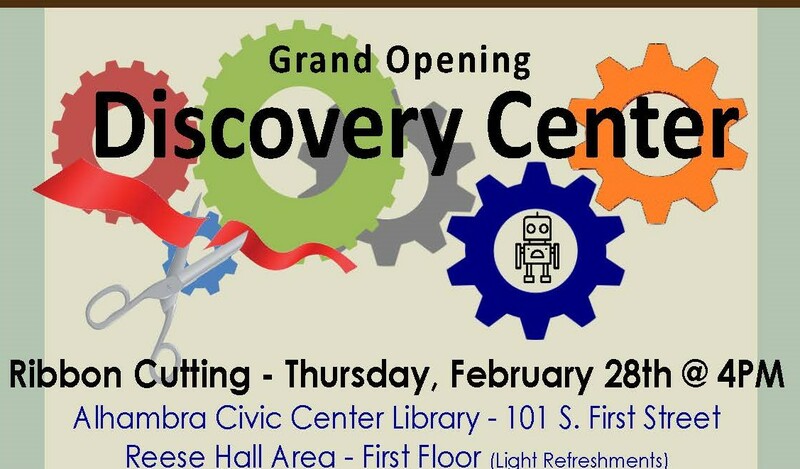 Join the Alhambra Library for the grand opening of the new Discovery Center. The Discovery Center will feature hands-on interactive learning devices such as 3-D printers, computerized sewing machines and virtual reality googles to help patrons explore their imagination and creativity. For questions or more information, please contact the Alhambra Civic Center Library at (626) 570-5008 or visit the library's website www.alhambralibrary.org.